Sort of a hodge-podge here today. During my early recovery from back surgery I began to venture off the couch or my chair and do a little baking for Mr. Squash. 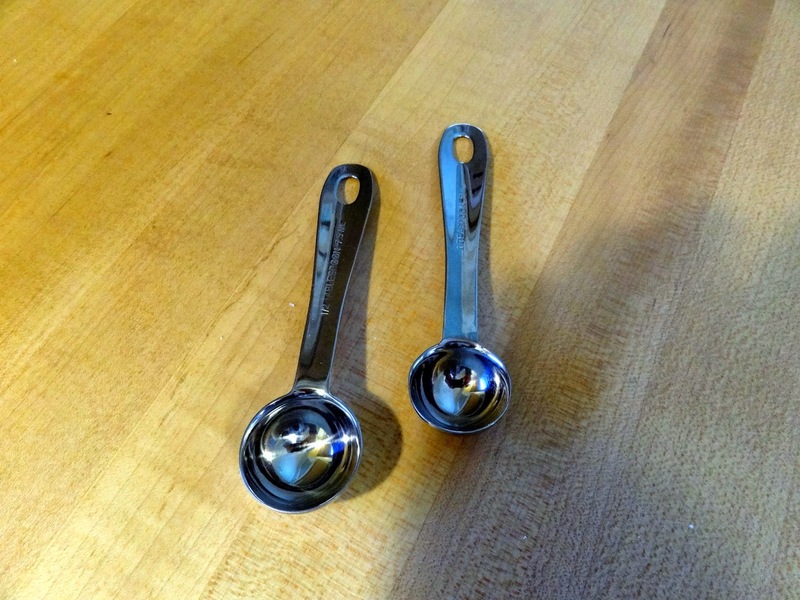 I remember one day thinking maybe I need to start backing off the pain pills because something just wasn't right about one set of measuring spoons. I keep three sets in a countertop container so they're at reach at all times. This is the newest set I got at Sur La Table last year. You're looking at the teaspoon on the left and the half teaspoon on the right. Turn them over and in the same position - enlarge the photo by clicking on it! Do you see what I see? The teaspoon is marked 1/2 teaspoon and the half teaspoon is marked 1 teaspoon! Thank goodness it wasn't the pain pills! I got a good laugh out of this yesterday when I was making a carrot cake! **EDIT---I guess the joke is on me! Did you see Lisa D's comment? She said she thought the larger spoon said 1/2 Tablespoon - and she's right! I got out some stronger reading glasses and all the spoons from the set and it really is a half Tablespoon measure. It's also now in the trash. I rarely look at the spoons as I know which shape is which. I can only imagine the mistakes I'd make with it, so better to be safe than sorry! Thanks for seeing this, Lisa! Yesterday was a busy day around the Squash House. Here is Mr. Squash planting our tomato crop. There must have been haze that we could not see as it was a sunny day for the most part. A wide view of the perennial garden. A closer look. I just marvel at the fact that there was nothing here shortly after we bought the house. We had the drip system re-worked this spring which means I'll now be able to fill all those empty spots! Shhhhh...don't tell Mr. Squash - he has to do the heavy planting for me this summer. I was actually able to do some work myself. I planted jalapenos in the bed on the left. Beans will go under the white trellis as soon as the soil temp hits 75-80. It was only 70 today. 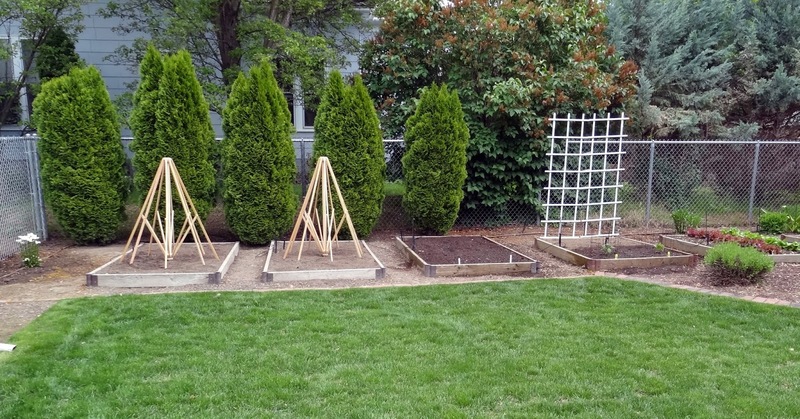 Aren't those pyramid trellises great? A local nursery is closing and everything was buy 2 for the price of one! I saw them after we had paid for other things and just had to go back to find out if they were in the sale category as well - YES! They're missing their finials, but I'm sure I can find replacements. They will hold bird house gourds. I pooped out before I could plant the seeds today. 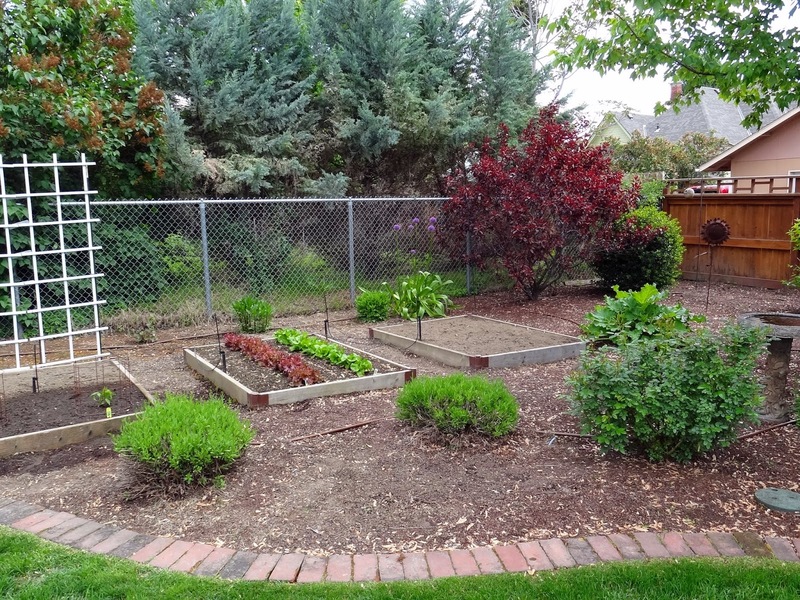 The bed to the right is sugar snap peas that I planted with Mr. Squash's help. So many of you enjoy my garden posts, so I'll update them periodically during the summer. I just love your yard, Candace! 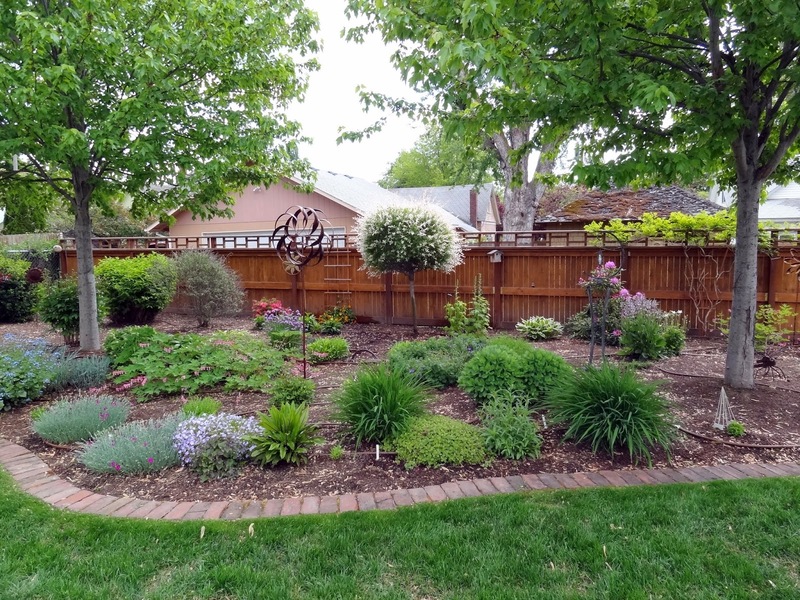 Your perennial garden is awesome! Your gardens are lovely. I love your windspinner in the middle of your perennials. It won't be long before the veggie garden will be lush with all of the folliage and yummy edibles. 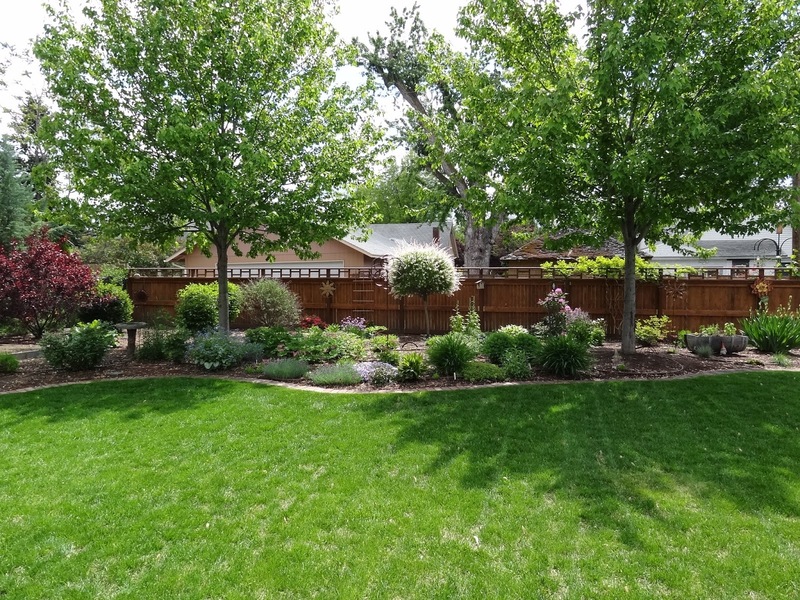 Wow, your yard looks amazing! I hope you have bountiful crops this year. It looks like Mr. Squash takes very loving care of your gardens. 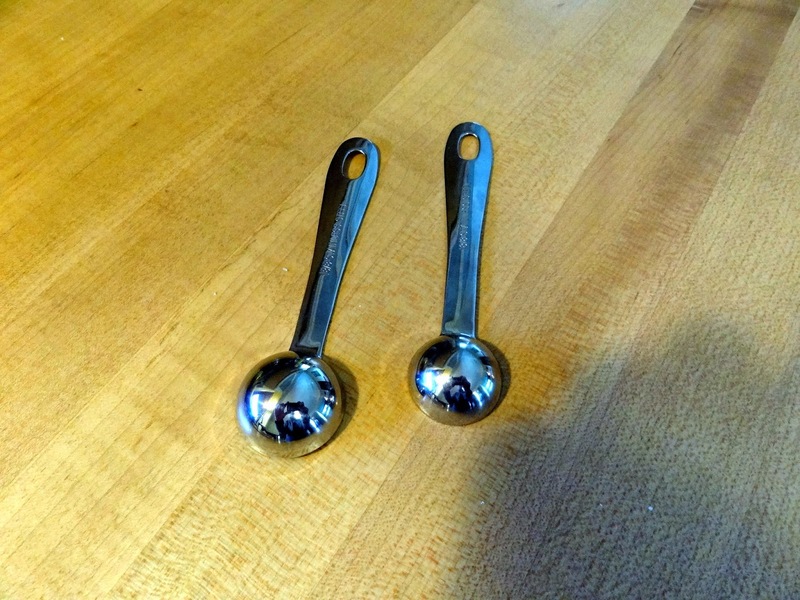 About your measuring spoons, it looks like the larger one says "half tablespoon" to me? What a lovely yard you have, Candace. And a willing helper. You lucky girl. Take care of that back. Don't over do it. I keep thinking you could start a business called Squash House Farms! :o) You have such a gorgeous and bountiful plot of earth. That is too funny about the measuring spoons vs. pain meds. So glad you are back. I always enjoy your blog. 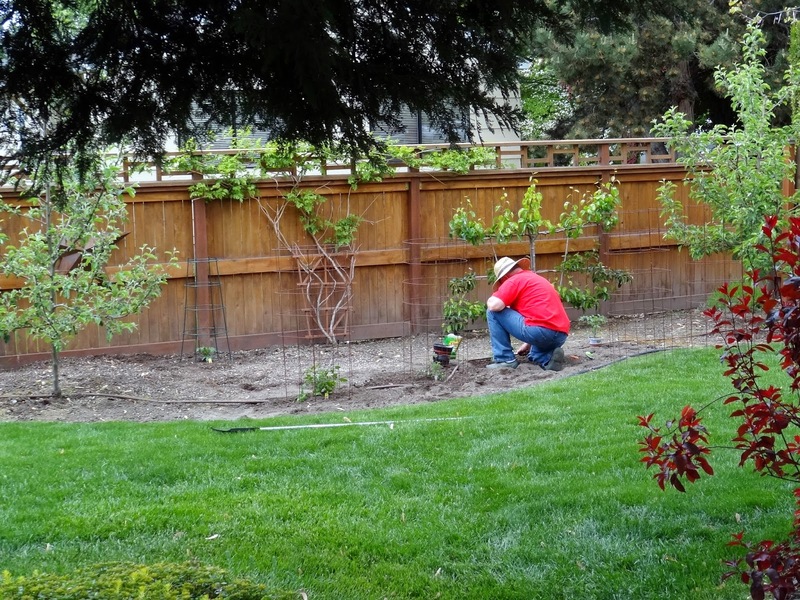 Your yard and gardens are just gorgeous Candace. Now try to go slow and don't overdo my friend!! Big Hugs!! Now that is a little heaven on earth. I am so thrilled you are feeling well enough to do a bit of gardening. The fresh air and sun will do wonders for you. The measuring spoons got past me so there is no telling what kind of concoction I would have whipped up with them. Look forward to seeing more of the yard and gardens this summer. The garden looks amazing. I can't believe you're already back at it! Your garden looks like a lot of work has been done there, but they must have been hours well spent. You get almost all meals from the garden soon! Me, me! I love your garden posts. Although the perennials have broken ground and are growing albeit very slowly, one of our early blooming rhododendrons has started to open as well as our two magnolia trees. It's been a very untypical cold spring this year. I don't dare think about tomatoes for another two weeks at the earliest. Your gardens are beyond wonderful! looking good. i spent all day monday in my garden.